Art Markman, author of several books on analogical reasoning, categorization, decision-making and motivation, has written a new book, “Habits of Leadership” (Perigee, Jan. 2013). 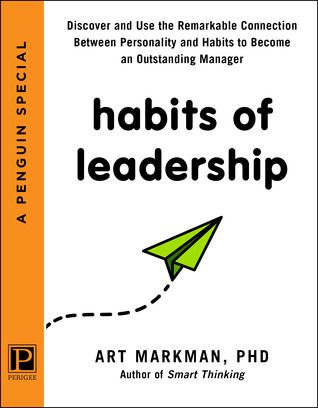 In the e-book, now available online, Markman addresses how aspects of personality influence the habits one brings to leadership situations. He does this by demonstrating the correlation of personality and habits, and the impact they have on leadership potential and innovation success. In a recent interview on Fox 7 Good Day Austin, Markman shared insight into how people with highly agreeable personalities can have difficulties leading unless they find ways to overcome their discomfort with being critical and preference for being indirect. He recommends that those who have such agreeable personalities and find themselves in a position of leadership develop a script to deliver criticism such as: “I know it’s hard to hear this type of criticism, but…” and follow with a clear, direct statement. For more information about the book visit his Smart Thinking website. To learn more about Markman’s publications, laboratory, blogs, and courses he teaches, visit his faculty profile. 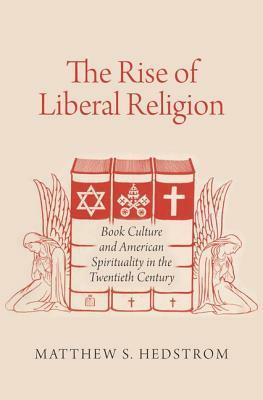 More about the author: Markman, the Annabel Iron Worsham Centennial Professor of Psychology, is the founding director of the Human Dimensions of Organizations, a new program at The University of Texas at Austin. The program offers professional seminars, and, beginning in fall 2013, a Masters of Arts degree program for working professionals in a variety of career fields. With the presidential debates complete and the upcoming election only a day away, many voters still remain uncertain about whom to vote for. Nobel Fellow and leading light in the next generation of policy makers, Jeremi Suri, looks to America’s history to see both what it has to offer failed states around the world and what it should avoid. America’s earnest attempts to export its ideas of representative government have had successes (Reconstruction after the American Civil War, the Philippines, Western Europe) and failures (Vietnam), and we can learn a good deal from both. The framers of the Constitution initiated a policy of cautious nation building, hoping not to conquer other countries, but to build a world of stable, self-governed societies that would support America’s way of life. Yet no other country has created more problems for itself and for others by intervening in distant lands and pursuing impractical changes. Looking to the future, Americans acknowledge that our actions in Iraq, Afghanistan, and Libya will have a dramatic impact on international stability. Suri, provocative historian and one of Smithsonian magazine’s “Top Young Innovators,” takes on the idea of American exceptionalism and turns it into a playbook for the president. In response to the belief held by many political analysts that the growth of presidential war power relative to Congress is irreversible, Bruce Buchanan identifies what would be required to restore presidential war power to constitutional specifications while leaving the president powerful enough to do what is truly necessary in the face of any emergency. 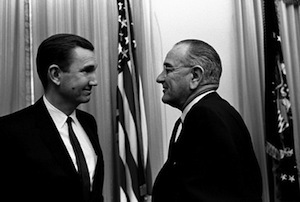 Buchanan focuses mainly on diagnosing the origins of the problem and devising practical ways to work toward restoration of the constitutional balance of power between Congress and the president. Offering specific remedies by identifying the structure and strategy for a new think tank designed to nudge the political system toward the kind of change the book recommends, Buchanan shows how a fictional policy trial could take a practical step toward in rebalancing the war power. 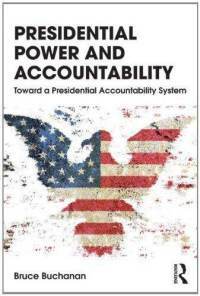 This is a crucial examination of presidential power and the U.S. separation of powers system, with a focused effort on making a course correction toward the kind of power sharing envisioned in the Constitution. When a popular revolt forced long-ruling Egyptian President Hosni Mubarak to resign on Feb. 11, 2011, U.S. President Barack Obama hailed the peaceful demonstrators in the heart of the Arab World. But Washington was late to endorse democracy. During the Egyptian uprising, the White House did not promote popular sovereignty but instead backed an “orderly transition” to one of Mubarak’s cronies. 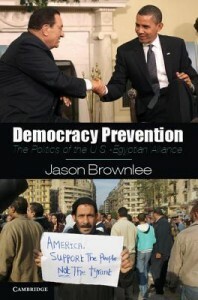 Even after protesters derailed that plan, the anti-democratic U.S.-Egyptian alliance continued. Using untapped primary materials, this book helps explain why authoritarianism has persisted in Egypt with American support, even as policy makers claim to encourage democratic change. Written for students as well as specialists, the book is the first to combine extensive archival evidence, including access to all of the Wikileaks cables and interviews with more than two dozen top Egyptian and American decision makers. From New York Times best-selling author H. W. Brands, a masterful biography of the Civil War general and two-term president who saved the Union twice, on the battlefield and in the White House, holding the country together at two critical turning points in our history. Ulysses Grant rose from obscurity to discover he had a genius for battle. After Abraham Lincoln’s assassination and the disastrous brief presidency of Andrew Johnson, America turned to Grand again to unite the country, this time as president. 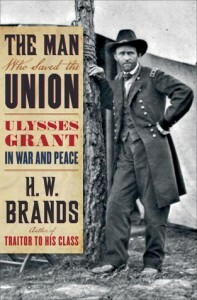 In this sweeping biography, Brands reconsiders Grant’s legacy and provides a compelling and intimate portrait of a popular and compassionate man who saved the Union as a first-rate general and consolidated that victory as a resolute and principled political leader. 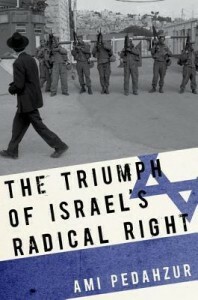 To understand the seemingly intractable situation in Israel today, acclaimed scholar Ami Pedahzur offers a comprehensive account and an invaluable and authoritative analysis of the radical right’s ascendance to the heights of Israeli politics. After dissection what they believe in, Pedahzur explains how mainstream Israeli policies like “the law of return” have nurtured their nativism and authoritarian tendencies. He then traces the right’s steady expansion and mutation, from the early days of the state to today. Throughout, he focuses on the radical right’s institutional networks, how the movement has been able to expand its influence of the policy-making process. His closing chapter is grim yet realistic: Pedahzur contends that a two-state solution is no longer viable and that the vision of the radical rabbi Meir Kahane, who was a fringe figure while alive, has triumphed. In “Matters of Fact in Jane Austen: History, Location, and Celebrity,” (The Johns Hopkins University Press, August 2012) Janine Barchas, associate professor of English at The University of Texas at Austin, boldly asserts that Jane Austen’s novels allude to real names of glamorous people and places. The first scholar to conduct extensive research into the names and locations in Austen’s fiction, Barachas offers scholars and ardent fans of Jane Austen a wealth of historical facts, while shedding an interpretive light on a new aspect of the beloved writer’s work. Other projects Barchas is working on include a website titled What Jane Saw that reconstructs a museum visit attended by the Austens in 1813 as well as an investigation into the marketing of Jane Austen through book cover art from 1833 to the present. Barchas kindly answered some questions for ShelfLife@Texas about Jane Austen’s “subtle manipulation” of celebrity culture, current trends in Austen studies, and why timeless classics like “Pride & Prejudice” and “Persuasion” continue to fascinate readers. In your opinion, why do Jane Austen’s novels remain on best-seller lists? Have you noticed a modern resurgence in her popularity? Well, her novels are really good, so quality may play a role! In addition, the many Hollywood movies and BBC bonnet dramas have further propelled Jane Austen to literary stardom in recent decades. As someone who also teaches many lesser knowns (such as Samuel Richardson who, alas, has no action figure or major motion picture to promote his fine novels), I am delighted that Hollywood is recruiting students to our English Department who want to follow up a film by reading the original book. We now cannot supersaturate the demand for classes on Austen in, well, Austin. How did you come to realize there might be a strong connection between actual high-profile politicians, contemporary celebrities and famous historical figures to the characters in Austen’s novels? Can you describe your research process? As a researcher of “the long 18th century,” I found myself initially distracted when teaching Austen (who published her first novel in 1811) by the historical associations conjured up by the leading names and settings in her stories. For example, the real-world family of Dashwood (also the name of protagonists in “Sense and Sensibility”) was a notorious and disreputable lot, who in the 1750s and 60s became known for a Hell Fire Club and a naughty landscape garden with female shapes and priapic statuary. At first, I dutifully shook off such well-known associations from my own “historical field” as unsuitable to her Regency fiction. But once these associations reached a tipping point, I began to wonder whether or not they were part of the fun that a historically savvy Jane Austen had intended to create with her stories. 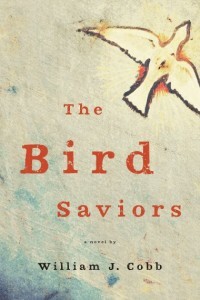 Her stories are so daring and witty if you know the reputations and names that she is reworking into her fictions. The collection at the Harry Ransom Center was such a key element in the early stages of my search for books about history, travel and famous landscapes that Austen could or would have read. Could you elaborate more on Austen’s “subtle manipulation” of the celebrity culture she saw around her? Austen is minute about location, taking her characters to street corners in Bath where famous people lived or specific locales where great historical events of national importance occurred. Real history is then allowed to intrude upon her stories in animating ways. Her leading names are also as if plucked from the history books, resonating with celebrity associations. For example, one famous political family in Austen’s time, the Wentworths of Yorkshire, included on its family tree the names of Woodhouse, Fitzwilliam, Darcy, Vernon, and Watson (all leading names in Austen’s stories). Imagine a novel today about, say, a fictional Kennedy family with a plot that takes a son named John to Cape Cod. Would you not wonder what other knowledge might be rewarded by such a cheeky reference to history? Why do you think other scholars had yet to make this important connection? There was a unique delay in the literary reputation of Austen, who was not popular in her lifetime. Even after her death in 1817, her reputation slumbered until she began to be reprinted in 1833. And only in the 1850s did her work become truly celebrated. So Austen — born in 1775, writing in the 1790s, and published in the 1810s — was not taken seriously until after 1850. I argue that she has been read out of time. As a result, scholars must combat the narrow Victorian view that saw her stories as confined merely to the domestic, because decades of delay in her popularity muted her daring historical and political allusions. Austen died long before Queen Victoria took the throne, and yet she is often grouped with Victorian writers like the Brontës who published decades later. I am simply resituating her in the culture, stories and history of her own youth by pulling her back into the 18th century. You see different things if you look at her as a Victorian precursor than if you look back over the books and stories that influenced her own work. We know from her brother Henry that Jane was a keen history buff. What are the current trends in Austen studies, and do you see your book affecting them? Historicizing is back. New editions are encouraging the reading of Austen’s novels in their original historical context, with new notes and increasingly fuller explanations of how a contemporary reader might have understood a detail of dress, money or manners. This is a different impulse from the prior view of celebrating Austen as “timeless” (that view is only partially true). My own book is part of a trend in scholarship that would historicize Austen to her time and place. That Jane Austen was even smarter and more politically daring than they’d thought! That every detail in her stories deserves to be savored and pondered — in the same way that scholars acknowledge similar details in James Joyce or Shakespeare. What’s next for you and Ms. Austen? I have started new project called “Jane Austen between the Covers,” which tracks the marketing of Austen through book cover designs from 1833 to the present. 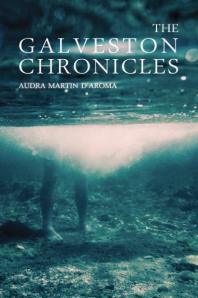 Because of Austen’s broad and sustained popularity since the invention of publisher’s bindings in the mid-19th-century, her cover art not only generates local insights into her reception history but also tells us how novels, as a popular genre, were marketed and consumed during the 19th and 20th centuries. From our first social bonding as infants to the funeral rites that mark our passing, music plays an important role in our lives, bringing us closer to one another. In “The Music between Us: Is Music a Universal Language?” (University of Chicago Press, June 2012) Kathleen Marie Higgins investigates this role, examining the features of human perception that enable music’s uncanny ability to provoke — despite its myriad forms across continents and throughout centuries — the sense of a shared human experience. Her interdisciplinary and richly researched study showcases the ways music is used in rituals, education, work, healing, as source of security and, perhaps most importantly, joy. Higgins, who is a philosophy professor at The University of Texas at Austin, recently answered some of our questions here at ShelfLife@Texas about the transcendent power of music – and how it is one of the most fundamental bridges in human society. What is your musical background, and how did you become interested in the philosophy of music? I was a music major as an undergraduate, playing piano and organ. I was especially interested in the way music related to ideas and culture more broadly, and taking a course in the music of India led me to start reflecting on the differences among musical traditions. I did graduate work in philosophy, but among my philosophical interests from the beginning was philosophy of music. What are some modern discussions being held by philosophers who study music? One set of issues concerns the ontology of music — questions about what constitutes music, musical performances and musical works. Another focuses on why music affects us so powerfully. Philosophers of music consider such issues as whether or not emotional arousal and/or expression is the purpose of music or whether these are simply byproducts; the basis for the connection between music and emotion; whether music that expresses given emotions also arouses these same emotions; and what the object of the emotion is in the case of emotion generated through music. Philosophers of music also discuss the ways that music relates to ethics. Can it make us a better or worse person, and if so how? What is involved in musical understanding? For example, how much attention to structure is essential? How music is like or unlike the other arts? How music is like or unlike language? What is the proper basis for evaluating and valuing music? How and why music functions politically? And what does music reveal about our minds and our world? I’m tempted to say that music offers an angle on just about any topic in philosophy. In the book you mention the qin, a Chinese unfretted lute, which is so sensitive that ambient air currents can produce sounds and even the grain of the musician’s fingerprints on the strings can be heard. What other unique musical instruments or musical techniques have you encountered in your research about the universality of music? Probably the most interesting I’ve come across is a practice in one New Guinea society of putting drone beetles in one’s mouth in order to use one’s own body as a resonator for the sounds of the beetles. Another New Guinea people, the Kaluli, perform duets with various natural sounds, such as those of waterfalls and cicadas. The ghatam, a South Indian instrument, is a clay pot. One of the things I notice when I encounter instruments and techniques such as these is the tendency to find musical possibilities in materials and phenomena in everyday life. I’m often struck by the various timbres utilized in music, whether produced by instruments or the musical voice. The first time I heard a crumhorn, I found the character of the sound rather humorous, even though the crumhorn was not designed for that purpose. I also find highly nasal vocal styles a bit comical, but in some cultures they are standard and highly prized. My reactions in these two cases makes it clear to me how much the musical practices of our own society determine what we take to be the norm, and how sounds that aren’t utilized (or utilized much) in those practice can strike us as aberrant. The question itself suggests that human beings employ only a subset of the available sonic possibilities in music, and this is certainly the case. Not surprisingly, we make music in the area where the human powers of hearing are most acute. The octave above a note is treated as the “same” note in most respects. Human beings prefer intervals of relatively simple ratios of frequency vibrations, and the simplest (the octave and the fifth, in particular) tend to be prominent in most musical systems around the world. Human beings typically make music in “pieces.” We tend to use a centering tone (called the tonic in the West), which is perceived as the tone of a scale that is the most stable, and other tones have various degrees of relative instability by comparison. Music tends to employ lots of repetition within a piece and within smaller components of a piece. There is some tendency in most musical cultures for musical utterances to end with a descent in pitch. All these tendencies show up virtually everywhere that people make music. Human beings have a signature way of making music, just as songbirds and humpback whales do. What do you find most fascinating about the connecting power of music? What interests me most about all this is the fact that even though music from another culture might be formulated on very different principles than the music we are most familiar with, and even though it might sound exceedingly foreign, it is geared to our perceptual faculties and is structured of patterns that can be recognized quite readily if one is familiar with the musical idiom. This is not to say that it is easy to “get” foreign music right away; some of our perceptual habits may even interfere, as when we are expecting one kind of tuning or rhythmic organization and encounter another. But it does suggest, and some experimental evidence bears this out, that we can improve in gaining an orientation in foreign music in a relatively short time. So we shouldn’t conclude from the fact that it is challenging that an unfamiliar type of music is foreclosed to us. The popular claim that music can communicate across cultural boundaries may understate the challenges in some cases, but the basic idea is right. Are there any non-musical societies that we know of? Or are there societies scholars consider decidedly less musical than others? No, it appears that music plays a role in every human society, and that it serves a cluster of functions (creation of social cohesion, emotional regulation, indication of socially significant occasions and promoting health, for example) virtually everywhere. What’s next for you and philosophy? I’ve been working on issues in the philosophy of emotions, in particular on the nature of grief. I’m interested in how grief motivates and is expressed through art and other practices that have an aesthetic dimension. Music plays an important role in this connection; lamentation is one of those ubiquitous ways that we humans use music. So although this new project isn’t about music as such, music will be a part of it, and no doubt other projects I pursue in the future. As far as historical presidential power couples go, the Tafts aren’t likely among the first to come to mind, but based off of Lewis Gould’s edited collection of their personal correspondence during William Taft’s most trying years in office, perhaps they should be. 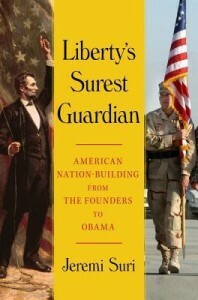 “My Dearest Nellie: The Letters of William Howard Taft to Helen Herron Taft, 1909-1912″ consists of 113 letters that “not only reveal the inner workings of a presidency at decisive moments but also humanize a chief executive to whom history has been less than kind” says Gould, Eugene C. Barker Centennial Professor Emeritus in American History at The University of Texas at Austin. Filled with his commentary on current political issues and rationale for his decisions as well as his growing distaste for Theodore Roosevelt, frustration with his weight and golf score, and even the hottest gossip from the nation’s capital, Taft’s collection of letters to his wife Nellie are rivaled only by those between Harry Truman and Bess. Gould recently sat down with ShelfLife@Texas to talk about Taft, the value of letter writing, and the birth of the modern United States. “My Dearest Nellie” is the most recent in a long list of books you have written or edited about the presidents of the first two decades of this 20th century. What draws you to this particular topic in American History? I had teachers at both Brown and Yale in the 1950s and 1960s who explored the national politics of the Progressive Era in fascinating ways. Soon I was intrigued by, and then committed to understanding, the period when the modern United States was emerging. I came to it after studying state politics first in Wyoming and then in Texas, but even in writing those books I was interested in the interaction between public life on the national level with developments in the states. But turning to Theodore Roosevelt, William Howard Taft, and Woodrow Wilson felt like coming to a natural area of emphasis. 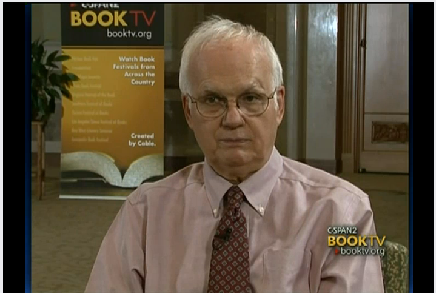 Watch Lewis Gould discuss his new book on C-SPAN Book TV. What is the value in reading the private letters of presidents past, and why do you think no one had really taken the time to look at those between President Taft and his wife Nellie before? The cliché is that historians read other people’s mail for a living, and the quality of letter writing in the Gilded Age and Progressive Era was more impressive than in our own day. With email and Twitter, there is not the care and thoroughness with which people once conveyed their thoughts. President Taft wrote many of his letters in longhand. Others he dictated to a secretary at the end of a busy day. Either way, speaking to the one person he trusted above all others, he conveyed his problems, gripes, and accomplishments with a high degree of freedom. In the process, he revealed much about his relations with Congress, the press and the public. He was very direct and often indiscreet, and his letters turned out to be fascinating. Unlike Theodore Roosevelt, whose letters have been published in eight volumes, and Woodrow Wilson, whose papers have been published in almost seventy volumes, Taft’s letters are still available only on microfilm. This small volume of 113 letters is my attempt to redress the balance. You say that although these letters will not warrant calling him a great President, they do reveal a more thoughtful occupant of the White House than scholars have acknowledged. Can you give us an example? Did anything you read surprise you, even as an expert of this historical period? The extent to which Taft involved himself with legislation was a surprise. In the various battles of his administration over the tariff, for example, in 1909 and 1911, the President courted lawmakers, used leaks to the press, and wielded patronage to get his goals enacted. Things didn’t always work out as he planned, but it was not because he was aloof. Many people have argued that Taft was lazy. He procrastinated a good deal, but when he put his mind to it he could produce speeches, messages to Congress, and letters to other politicians with great efficiency. He was also well read — not the speed-reader that Roosevelt was, but a man who knew the classics and Western literature. How many recent presidents could toss off an allusion to a Latin poet in the course of a letter to their spouse? Taft was a very unpretentious and down-to-earth chief executive. The wife of a Texas congressman called him “the most perfect everyday gentleman” she had known among the presidents of her time. His letters are filled with human touches and an awareness of his own foibles. In the summer of 1912, when it was clear that the American people were not going to give him a second term, he wrote to Nellie: “I have held the office of President once, and that is more than most men have, so I am content to retire from it with a consciousness that I have done the best I could, and have accomplished a good deal in one way or another.” The rationalization of a losing candidate? Sure. But it also reflected a lack of bluster and arrogance that one rarely finds among modern politicians. Spending a decade reading Taft’s mail was a rewarding experience. The idea for this book came to you while you were writing another book called “The Modern American Presidency.” Did any new ideas strike you while writing his one? Right now I am resting from the work of editing the Taft letters for publication and writing a brief biography of Theodore Roosevelt that has just been published by the Oxford University Press. “Science shows clearly that smart thinking is not an innate quality,” says Art Markman, psychology professor and director of the Human Dimensions of Organizations program at The University of Texas at Austin. He claims that the ability to think like the great innovators of our time is a skill that can actually be developed. “Each of the components of being smart is already part of your mental toolbox,” Markman says. Here’s the formula: “Smart Thinking” requires developing Smart Habits to acquire High Quality Knowledge, and to Apply Your Knowledge to achieve your goals.” In his upcoming book “Smart Thinking,” (Perigee Books, January 2012) Markman teaches readers how to do just that. He will be at book signing events in Austin at 7 p.m., Wed., Jan. 4 at BookPeople and in San Antonio at 5 p.m., Thurs., Jan 5 at The Twig Book Shop. He recently sat down with ShelfLife@Texas to discuss the book and some of his most exciting findings. In the introduction to your book, Chief Learning Officer for Procter and Gamble Craig Wynett and Dr. Mehmet Oz praise you for developing a unique mix of “leading edge science” and “news you can use.” Why do you think so few books like yours are being published? This kind of book is a tough one to get right. There are a lot of great scientists who know the research on thinking, but few of them have spent time working with people outside of the research community that would provide experience to guide practical recommendations. In addition, most researchers focus on a narrow area of study. Books like this require drawing from across the discipline of psychology. There are also a number of books by people who have worked in business and executive education settings. These books provide recommendations for more effective thinking, but they are not rooted in the underlying science. As a result, the recommendations are brittle. They work in some cases, but when they fail, it is not clear why. You are adamant that “smart thinking” and intelligence are not the same thing. What is the difference? There are lots of tests out there that aim to measure intelligence and aptitude. These tests often focus on abstract reasoning abilities. But, being smart is really about solving problems effectively in real situations. That kind of problem solving requires knowing a lot about the way the world works and having good strategies for applying that knowledge when you need it. Those abilities are just not tested by intelligence tests. As a result, we all know people who “test well” but are not successful in life, and others who are not “book smart” but always seem to find a way to do something interesting. How and when did you start developing your ideas for “Smart Thinking” and what research did you draw upon to develop the “smart thinking” techniques? I have always had an interest in how to bridge the gap between research and the application of that research in the world. About seven years ago, I started working with companies to help them bring research into their businesses. For the past six years, I have worked with the people of Procter & Gamble. They asked me to teach some classes to their employees to help them be more effective problem solvers. The information in this book emerged from those classes. I had to synthesize research from many different areas. One core component of this book draws from work on habits and habit change. You cannot be smart without developing good habits. The second core element comes from work on learning and knowledge. A key to smart thinking is understanding how things in the world function. There is a lot of important work exploring the difficulties of acquiring this functional knowledge and examining ways to improve this type of learning. Finally, many solutions to difficult problems arise as the result of analogies between a problem and a solution from another area of expertise. The book draws extensively on research on how analogies are formed and used. You have a wonderful anecdote in the book in which you use these techniques to help your son figure out an answer to a tough question on his homework using his own existing knowledge. Have your children begun to embrace these smart thinking techniques? How do you try to incorporate your advice into your own life? I certainly hope my kids have started to use some of these techniques for themselves, though I’m not qualified to write a book on parenting. I do try to use these techniques myself. I talk a lot in the book about ways to redescribe problems to improve your ability to find good analogies. I spend a lot of time using those techniques in my work as a scientist. In addition, I have used a number of the suggestions for developing and changing habits for aspects of my life including learning to play the saxophone as an adult and changing the way I eat. In “Smart Thinking,” you emphasize the fact that “smart habits enable us to perform desirable behaviors automatically.” What do you mean by this and why is it important that we perform our daily tasks without much thought? It is hard to have to think about your behavior all the time. Most of the time, when you are thinking about your behavior it is because there is one thing you would like to do, but you have to fight against your habits to do it, which is exhausting. It is much more effective to structure your world in a consistent way so that the things you want to do happen automatically. After all, who wants to think about the route they take home from work, where to find the trash can in the office or how to flick on the light switch in the kitchen? The more things you can compile away as habits, the more you can focus on what interests you. Throughout the book you have written little interjections called Instantly Smarter, which are tips that readers can begin employing immediately. What are some of your favorites? I like the tips on remembering names, because so many of us have difficulty with names. We have trouble with names because they are completely disconnected from every other aspect about a person. We want to learn facts that are connected to the person rather than independent ones. So, our difficulty with names reflects something important about the psychology of memory. There are two other sets of Instantly Smarter tips I really like: One focuses on the importance of sleep in being smart. The other examines ways to help you pay attention when you feel like you’re losing it in a meeting or class. What is one habit of smart thinkers that you think will most surprise readers? Most people think that smart thinkers think differently than they do. That message was even brought out explicitly in Apple’s great ad campaign “Think Different.” In fact, even the smartest thinkers are using the same procedures that everyone has. Where they differ is in the range of things they know about and in their ability to find descriptions of problems that enable them to use the knowledge they have when they need it. What is the primary piece of advice you hope readers take away from “Smart Thinking”? The main piece of advice is that you can become smarter. A musician improves her skills through dedicated practice and an understanding of music theory. Likewise, by understanding the way you use knowledge to solve problems, you can develop smarter habits to learn more about the way the world works and to describe problems effectively.